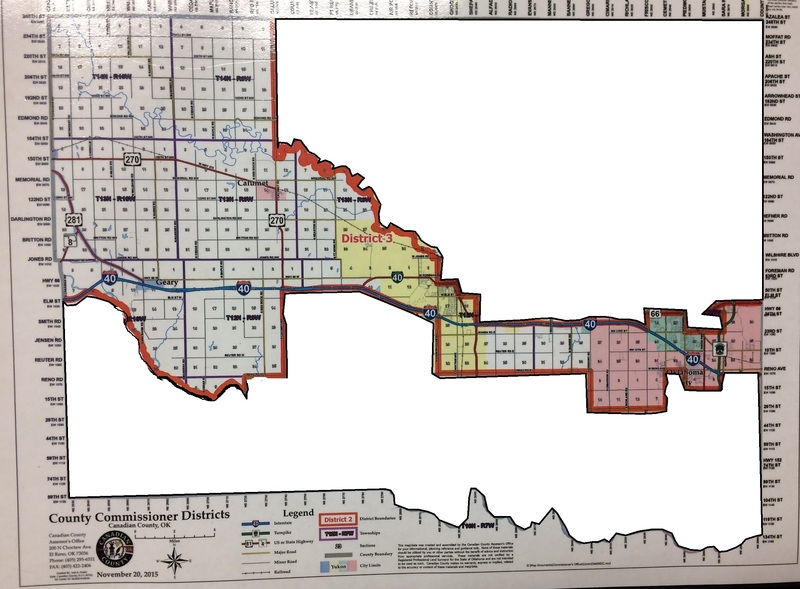 District 3 begins in the upper NW corner and then cuts the county in half as an odd sliver of land. 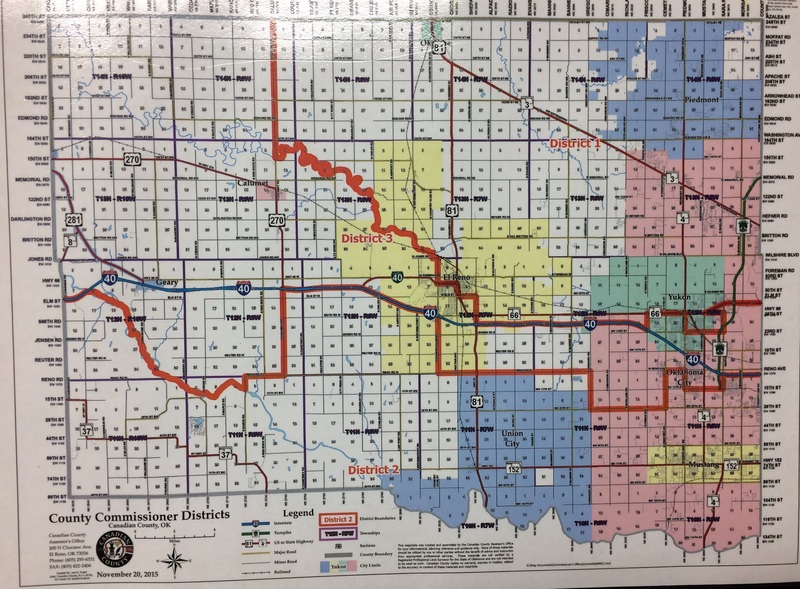 It incorporates the cities of Calumet, central El Reno, and parts of Yukon and OKC. The current commissioner for District 3 is Jack Stewart.